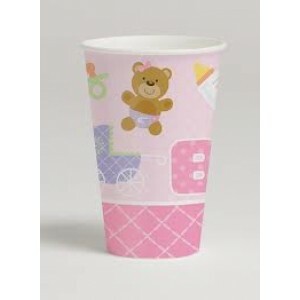 A Pack of 8 pink teddy bear themed hot/cold disposable cups. 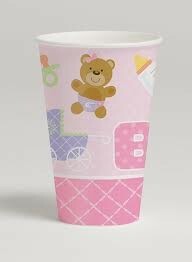 The cups have the design of cute brown teddy bears and baby items. Disposable cups are ideal if you have children attending the party. 12 floz cups.